XM.com - Trade Forex with up to 1:500 Leverage and up to $5000 Bonus. From a technical point of view, it is unlikely that the pair could continue to decline due to the support cluster formed by a combination of the 55-, 100– and 200-hour SMAs, as well the weekly PP in the 1.3078/1.3088 range. 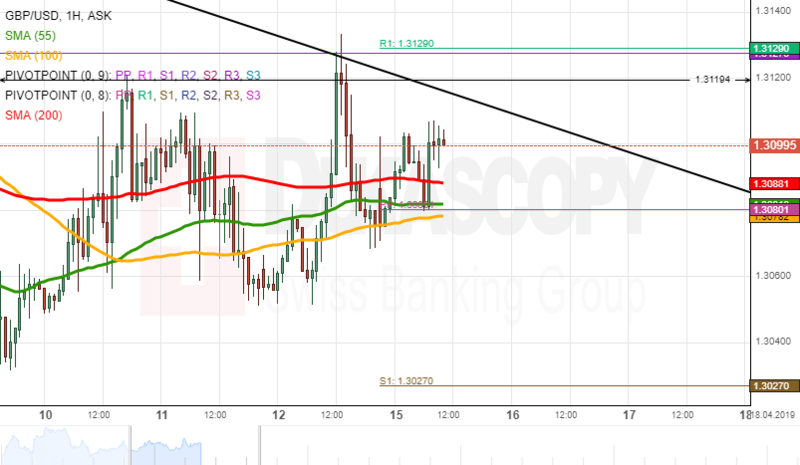 It is expected, that the currency pair re-tests the upper pattern line located in the 1.3100/1.3200 range. However, it is unlikely, that the pair could breach the given pattern due to the resistance level located at the 1.3119 mark. © 2016 FXrank.com - all rights reserved.